Dr. Tom Nelson attended Texas A&M for undergraduate studies and veterinary school graduating in 1979 with honors. Dr. Nelson is considered a pioneer for his clinical work in the study of heartworm disease in cats. His work resulted in a paper presented at the 1998 Heartworm Symposium and was published in Recent Advances in Heartworm Disease ’98. Dr. Nelson continues to be involved in heartworm research, is the lead author of the American Heartworm Society Guidelines, and has authored or coauthored 24 scientific papers and contributed three chapters to textbooks on the subject of heartworm disease. Dr. Nelson is a past president of the American Heartworm Society, is a former board member of the Companion Animal Parasite Council (CAPC) and sits on the International Feline Heartworm Council. He was the spokesperson for the KNOW Heartworms Campaign, a joint educational program of the American Heartworm Society and American Association of Feline Practitioners. Heartworm disease is one of the most serious—and preventable—diseases threatening canine patients. 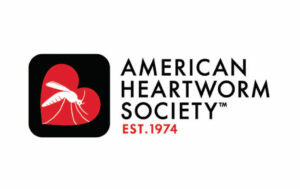 The 2016 American Heartworm Society (AHS) Incidence Survey determined that the number of infected dogs per clinic rose by 21% in the United States and its territories between 2013 and 2016, with almost 1 in 4 veterinarians reporting that heartworm disease was “on the rise” in their respective practices. Environmental and climate change, the relocation of microfilaremic dogs, and the expansion of microfilaremic wild canid territories are all considered contributing factors. Mosquito-borne human illness has followed a similar pattern; a May 2018 report from the Centers for Disease Control and Prevention noted that the number of cases of vector-borne human disease from mosquitoes, fleas, and ticks more than tripled between 2004 and 2016. 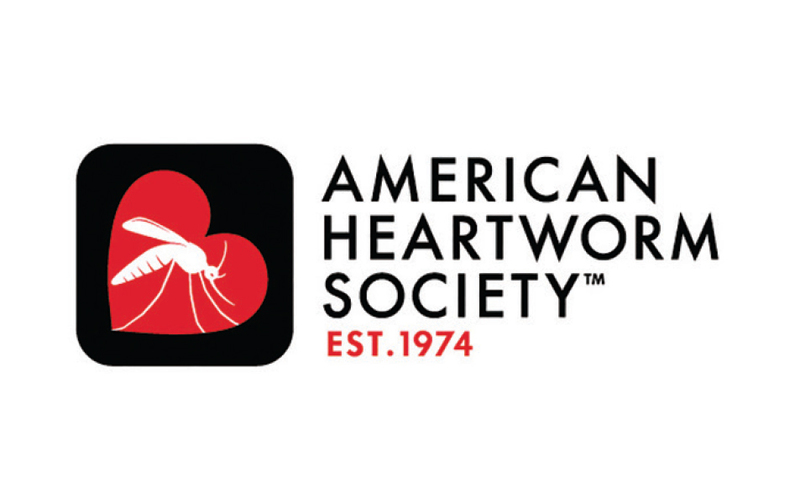 Reducing the transmission and incidence of heartworms is a fundamental goal of the AHS, and the AHS Heartworm Guidelines on prevention, testing, and treatment are among the Society’s most important resources. Experts in parasitology and other specialties recently reviewed the latest scientific studies on heartworms and released 2018 guidelines with the following updates. Veterinarians should weigh the relative risk for heartworm infection in their practice areas when making specific recommendations for heartworm prevention to clients. The AHS recommends nationwide, year-round use of macrocyclic lactone (ML) preventives. The Society also encourages practical steps to reduce heartworm transmission, such as keeping pets indoors at night and eliminating environmental sources of standing water where mosquitoes can breed. The use of mosquito repellents/ectoparasiticides to control the mosquito vector should be considered and guided by (1) the prevalence of heartworm-positive animals in a particular region, (2) the presence of mosquito species known to transmit heartworms, and (3) environmental conditions that promote the presence/breeding of mosquitoes. Repellents should be considered an adjunct to—not a replacement for—ML preventives. The relative risk for heartworm can vary from season to season and from region to region, depending on the presence of heartworm-positive dogs and environmental and climate conditions that favor mosquito proliferation. AHS advocates the year-round administration of ML medications as safe and effective heartworm prevention, but poor and inconsistent adherence can hamper the efficacy of this approach. If veterinarians deem the relative risk for heartworm transmission to be high on a seasonal or year-round basis, they should consider the use of U.S. Environmental Protection Agency–approved repellents/ectoparasiticides to provide additional control of the mosquito vector and to interrupt the chain of transmission. Heartworm screening in dogs should include antigen and microfilaria testing. Heat treatment of serum samples before routine antigen testing is not recommended. Heat treatment of serum samples before antigen testing is available from reference laboratories to unmask blocked antigen; however, it should be considered only when the veterinarian suspects clinical infection in the absence of a positive test result. Heat treatment of samples is contrary to label instructions for in-house tests and may interfere with the accuracy of both heartworm tests and combination tests designed to detect antibodies of other infectious agents. The available antigen tests are highly sensitive and yield accurate results. The AHS does not recommend heat treatment for routine testing but advises veterinarians to consider it when circulating microfilaria are detected or active clinical disease is suspected in the absence of positive antigen test result. The use of the AHS heartworm treatment protocol, which includes pretreatment with an ML and doxycycline followed by a month-long waiting period, then 3 doses of melarsomine on days 60, 90, and 91, continues to be recommended for heartworm-positive dogs. Waiting until day 60 to begin melarsomine has been questioned for reasons of convenience and efficacy; however, it is hypothesized that this waiting period allows time for Wolbachia surface proteins and other metabolites to dissipate before killing of the adult worms. It also allows additional time for the worms to wither as they become unthrifty after the Wolbachia endosymbionts are eliminated. The efficacy of several nonadulticide treatment protocols, including the “moxy-doxy” protocol with moxidectin and doxycycline, has been studied over the past several years. These protocols may be considered for treating dogs that are not candidates for melarsomine therapy, but they should be viewed as fallback options compared with treatment protocols of choice. The AHS treatment protocol includes administration of an ML preventive to kill juvenile worms, followed by doxycycline to eliminate Wolbachia bacteria, with the ultimate goal of reducing the severity of complications from the adulticide therapy that follows. The waiting period before administering doxycycline is included in the AHS protocol to allow more time for the effects of doxycycline to work. It is also important to put nonadulticide treatment protocol findings into perspective. These protocols have been studied in Europe and the United States to help guide management of patients that are not candidates for melarsomine, but the downside to using these protocols is significant. Treatment takes longer than with melarsomine, during which time pathology and damage can progress. In addition, because these protocols are less effective in acutely eliminating adult worms, the timing of worm death is unpredictable. The war on heartworms continues to be waged on the front lines of veterinary practices across the United States. The latest 2018 AHS Heartworm Guidelines were developed to help veterinarians formulate strategic battle plans for their practices, patients, and communities. Centers for Disease Control and Prevention. “Illnesses on the rise”. Vital Signs. cdc.gov/vitalsigns/vector-borne/index.html. Accessed August 16, 2018.